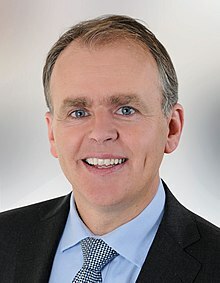 The Minister for Education and Skills (Irish: An tAire Oideachais agus Scileanna) is the senior government minister at the Department of Education and Skills in the Government of Ireland. Mary Mitchell O'Connor, TD – Minister of State for Higher Education. The Minister engages in a wide range of activities relating to education in the Republic of Ireland, including policy planning, quality assurance and the provision of a broad range of services. Plan for education that is relevant to personal, social, cultural and economic needs. In recent years some of these functions have been devolved to statutory authorities, in particular the Higher Education Authority, the National Qualifications Authority and the State Examinations Commission. Irish universities and colleges are to a large extent free of government control, with this being largely limited to policy formation and statistics preparation. Until September 1997 the department was known simply as the "Department of Education" and on 23 March 2010 the department was renamed from Department of Education and Science to its current title. ^ John J. O'Kelly bore the title of Secretary for Education. ^ a b The terms of office of Michael Hayes and Fionán Lynch overlap. This is because they were ministers under two different but overlapping political systems. Michael Hayes was a member of the Ministry of the Irish Republic, while Fionán Lynch was a minister of the Provisional Government. For a period in 1922 an anomalous situation existed in which these two administrations overlapped. This page was last edited on 23 November 2018, at 14:30 (UTC).